The largest number of Sentinel Steam & Diesel Waggons ever seen at any event gathered at the County of Salop Steam Engine Rally at Shrewsbury in August 2002. 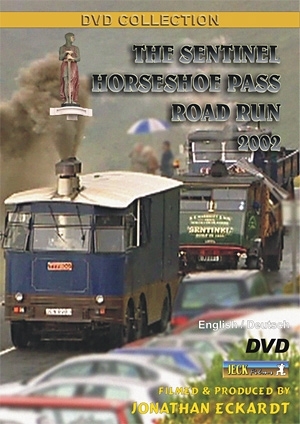 Thirty beautifully restored vehicles of this now extinct make took part in a re-run of the work’s test route from Shrewsbury into the North Wales Mountains up and through the infamous Horseshoe Pass. Even the atrocious conditions at the top failed to 'dampen' the enjoyment of this spectacular day.